Driving a motor vehicle is one of the most important skills a teen must learn. 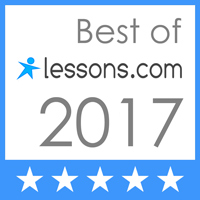 Professional Driving Schools' drivers education program is recognized as one of the best driver's education programs in the Commonwealth of Massachusetts. Professional Driving Schools, Inc., is a Family Owned Cape Cod Driver Educator instructing young drivers of our community in driver safety for 20 years. it's about surviving the drive. Driver Education Classes in Several Convenient Cape Cod Locations! Falmouth, Harwich, Hyannis, Mashpee and Sandwich! This two (2) hour Program is mandatory and is part of the driver certification process. This two hour program is FREE and is valid for 5 years. All classes will be held in our Hyannis classroom. If this is your first time logging on to Schedule2Drive.com, please call the office as you will need a special code to register. We have 11 Instructors, 9 Instructor cars and AMPLE DRIVE TIMES AVAILABLE ALL YEAR ROUND!